She starts school in the fall so I tried to make this layered so if it is a hot day she can remove a layer and if it gets cold she can add another. I also decided to keep the colors simple and then add a pop of pink with the necklace. 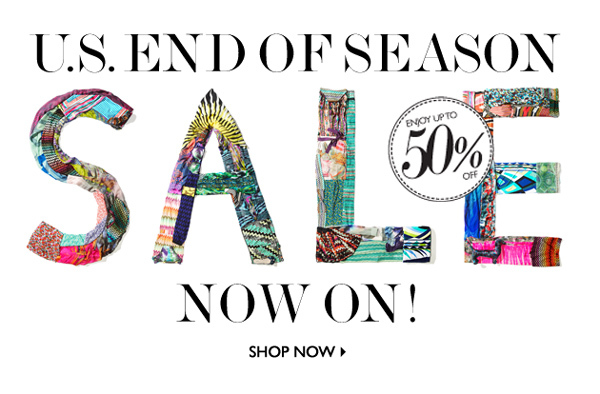 Also, Net-a-Porter's End of Season Sale has started!!! EXCITEMENT! You can get up to 50% off some items! Omg! I love the dress you picked out! So lovely!! 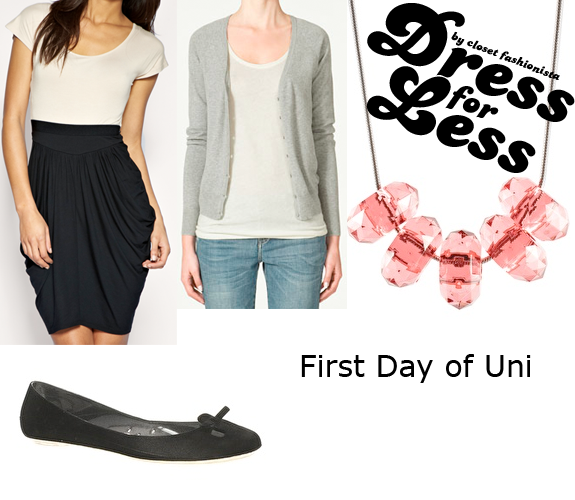 Love the way your styled this - definitely a perfect first day of university outfit! Yikes, what kind of masochist is already thinking of school in September? Hehe. I love that necklace though! I'm sure Anna would be so happy you helped her out!! OMG I'm heading over to Net-a-porter now!! Thanks doll! great picks. i think you are in the wrong profession...you should do this. I better stay away from net-a-porter because I just bought a ton of clothes in Phoenix! Love the Dress for Less! wow, such a relief that it doesn't always has to be high end !! have you seen my new look ? So you're some sort of fashion stylist now??? I love the pop of color that you added from the necklace! This would be a great "first impression" outfit! I love especially the dress and the necklace!So cuteee!! what a great look! i love your dress for less posts! Girl I cannot tell you how much mileage I got out of black ballet flats in college. I must have had 10 pairs in 4 years. Such an investment. I love the drapey skirt and cute necklace! Such a simple yet chic way to begin a full year of classes! all these sales! its killing my wallet but cannot help myself! that is probably so the kind of thing I would wear to uni, with ridiculously high heels lol. I totally caved with the NAP sale - had no idea til you commented as I've been deleting the emails lol. Bought the Acne pistols. Oops. Simple and classic. I like the look. She should take a picture if she decideds to wear it. Also I love how the necklace adds some colour into it. Such a great look for such a great price! That is a very cute first day look!